You waited years to find him. Now for the handmade wedding jewelry ...the perfect finishing touch for the big event! This Big Day is Big Business! Start Your Own Highly Profitable Event Planning Business. Click Here! The quest of honour, at this one big event is Handmade Personalized Wedding Jewelry as it's specifically designed with the bridal party in mind. Even the materials such as color of the pearls and the metal findings can be color coordinated to match the bridal parties choice of colors. Color White is the perfect background colour to showcase wedding jewelry. Wedding jewelry that's handmade looks special because it is special as each piece is unique and embued with craftsmanship. Handmade jewelry brings out that something special on your special wedding day and individual jewelry stands in stark contrast to the mass produced, cookie cutter jewelry you see in the marketplace. And if you've made the choice to wear a classic Antique Wedding Ring on the fourth finger of your left hand, you simply can't go wrong. And as for the truly classic wedding gem, you can't beat, Pearls - it is the perfect wedding gem to embellish handcrafted wedding jewelry. Cultured Pearls have always been the jewelry of choice for that special big event because of their purity and feminine appeal. Making your own handcrafted jewelry can grow from a hobby into a financially rewarding business. Jewelry making has provided a great lifestyle for many jewelry artists. Jewelry makers now have access to an expanded range of retail platforms to enable them to market and sell their creations globally and aligned to audiences interests. One retail platform that offers an alternative and very affordable platform is the The Jewelry Exchange on Antique Jewelry Investor and for less than $1 US a month. If you are a Jewelry wire artist or Beader and make Handmade Jewelry well, I found a Jewelry Business Software I think you will Love! !Click Here! Every woman is unique and handmade jewelry celebrates this aspect as each piece is one-off and speaks to the heart of the owner. Jewelry artists are in tune with fashion and trendy jewelry and understand the power and the spirit of the materials. Jewelry artists will often collaborate with you and custom make your jewelry to your individual requirements. A jewelry artist, with their finger-on-the-pulse, has access to suppliers of pearls, beads, crystals, gemstones and findings and can select precious and semi-precious gemstones and pearls according to your personal requirements and your budget. The color of pearls, for example, can be chosen to compliment your skin tone. 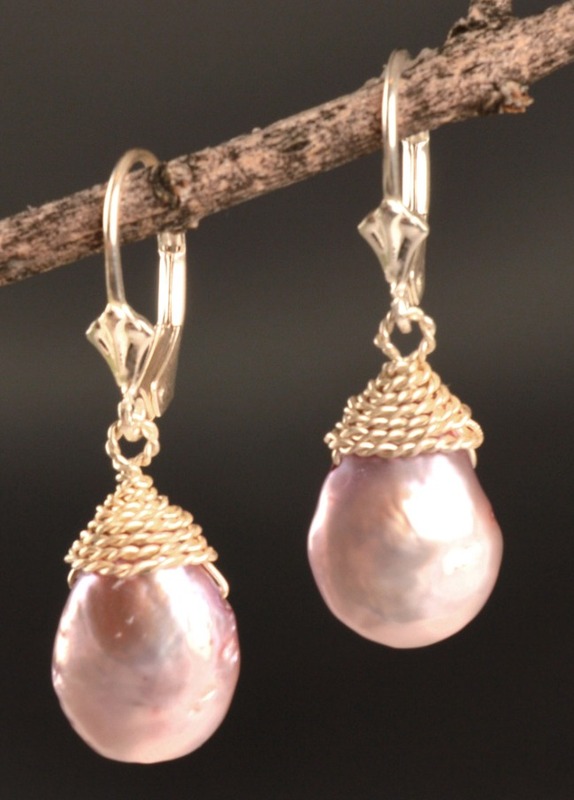 Crystal wedding jewelry and pearl jewelry is often a favorite choice for wedding jewelry. Trendy Wedding or Classic Wedding Jewelry can be tailor made to compliment the colors and style of the wedding dress and the bridesmaids dresses. Handmade jewelry is quintessentially feminine and personal jewelry and perfect for your special wedding unique.